Maintaining a WordPress website is not always butterflies and rainbows. You click update, and expect everything to fly smoothly, until an error pops up and it’s all downhill from there. Worst thing that can happen to any business is having a failed website at a critical time. According to Pareto’s Law of 80/20, 20% of your effort spent on your website will bear fruits and help your bottom line. Unfortunately, 80% of your effort is spent on tedious task of managing WordPress. With years of experience of maintaining WordPress, we have the strict guidelines for our teams to ensure that your WordPress website gets the best attention. Know exactly when it happens and why. By knowing these answers you can plan to scale up your server or optimize the delivery of your WordPress. Our bots help monitor your traffic and server load 24/7. We’ll advise if it’s time to scale up. Deliver content in the fastest possible manner. Your customers will love you for making their lives easier. Besides, who likes melted ice cream? We’ll help you compress your images files and optimize your content delivery. First rule of Computer Science Degree, always save. CTRL + S is your friend. But the best yet, is to autosave for every changes you made on your website. We’ll manage your backups and restore when you request for it. Errors are an eye sore. With each error you stand to lose your customers’ trust. Fret not, we’ll be on the watch and fix errors when it happens, ensuring that your customers are in safe hands. Unplanned downtime is probably the worst that can happen to your business. It’s like going to a retail shop, but has an empty shelf. Don’t be that business. Your website is your best business companion, treat it right. Give it a good maintenance every now and then. 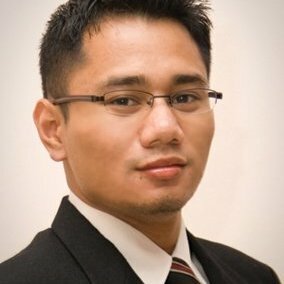 Edwin Masripan has been building and maintaining websites since 2001. He is very well versed in WordPress and actively participates in WP development.